Walk Thru the Bible with Al Watson doing 77 hand motions in English. Walk Thru the Bible 77 Signs to remember all OT Events! Bilingual English and Japanese "Walk Through the Bible Events"
Click on the "News and Stories." WebQuest.org is an Inquiry-Oriented Lesson Format. Promotes self-reliance and local leadership for churches through a video series, articles, and seminars. Water Droughts in California and elsewhere QUIZ. WATERFALLS OF THE WORLD! Most amazing water sights anywhere. Word Map Shows Where & How An Individual Word Is Said In Multiple Languages. Type any word into Word Map and it will tell you how that word is spoken in many other languages and show you where those languages are spoken. The audio worked fine for me in Google Chrome, but not in Firefox. From The NY Times: "English Grammar Aids for Both Native Speakers and Students." The New York Times has just published the above video along with an article reviewing apps useful for English Language Learners. Boom Writer.com - Enables youth to write together in collaboration. Nik Wallenda walk between 2 sky-scrapers in Chicago, it's amazing! Wallenda WOWs Chicago with his Amazing Faith on the high wire! Curated by education technology consultant Lisha Vuskovich. This iPad app teaches your little learner how to write letters and numbers in a fun, friendly, and supportive way. Word Clouds by ABCYa is an excellent free iPad app similar to Wordle or Tag Cloud for creating those ever popular word clouds. Word clouds are often used to visual represent a word frequency and can be used by any subject or curriculum. This app is very easy to use and allows a user to edit their clouds by font color, size, etc. For Kapuler�s Pinterest board on Word/Tag Clouds click here. Recent WRITE activity spotted in Woodland, CA classrooms during Seal of Excellence walkthrough. Impressive! pic.twitter.com/5PPkRU7biF WRITE Institute (@WRITEinstitute) February 12, 2014. The WRITE Institute is a great writing curriculum to use with English Language Learners. Checks the style of your writing and highlights issues like readability, verbosity, passive voice, and more. Curated by technology coach Gabrielle Copen. 10 Unique Ways to Propose a Wedding & Marriage! Digital Storytelling Collection of 100+ tools for presenting stories! Curated by teacher librarian Dr. Joyce Valenza. "Leveraging children's interests is a powerful tactic when it comes to fighting reading deficiency, but unfortunately, it is not something that has been put into widespread practice," said Rob Cullin, president and co-founder of Evanced Solutions. "Wandoo Planet was created to offer children a platform that lets them choose and discover their individual interests to promote reading success. We welcome the feedback of our beta testers who will help us make the game even better before its official release this spring." [ Written by dkapuler on Jan 25, 2014]. Teaching English at The British Council has greatly expanded the number of bloggers who are writing monthly posts on different topics. ESL discussion material based on TED talks is a very good resource. I'm adding it to The Best Teacher Resources For "TED Talks" (& Similar Presentations). Curious.com lets you create, share and view video lessons. Wolfram Problem Generator is the latest tool from the computational search engine (Wolfram Alpha), that I just found out about from the great blog, Educational Technology Guy. This is a wonderful site for Math teachers/students that are looking to solve problems in a wide range of areas (i.e., order of operations, division, calculus, etc.). Also, WPG allows users to create printable worksheets as well as set the difficult of their problems to beginner, advanced, or intermediate. Word-Lens: Translates any posters via your camera! Word Dynamics is a unique outreach tool to help high school and university students improve their vocabulary and also consider faith. This digital vocabulary builder can help students excel in school and prepare for the SAT and GRE exams. Youth groups, homeschoolers and teachers might find this educational software with a spiritual twist especially useful for study and outreach. 35 Ways of Using Word Clouds in Language Learning is from Teacher Greg's Education Home. I'm adding it to The Best Resources For Learning About "Word Clouds." Simple WebCorp Live lets you access the Web as a corpus - a large collection of texts from which examples of real language use can be extracted. Top Tools to Test Quickly found here on our Tester Pageorama page! Wisdom of Giving to help Businesses Grow! WISDOM WEBQUEST FORMATS POSSIBLE include these from AT&T's "Knowledge Network Explorer"
Revolutionizing vocabulary instruction: Morphology, cognates, and classical roots. Retrieved September 19, 2012. Ferlazzo's revised Writing WebTools, based on various District content filter-related issues. Even though he had concluded that Check This was the easiest tool for students to use for creating/writing reports (they could be creative and no registration was required), we couldn't get it through our filter. Loose Leaves became my second choice, though it wasn't nearly as attractive or engaging to students. For now, though, I've decided on Glogster Edu. You have to pay a few bucks if you want more than ten student accounts, but I think it's worth it. I have some concerns that it provides so many creative opportunities that students can focus more on looks than content, but, considering the limitations of our content filter, for now it's the best choice. The Machine is Us/ing Us is a short video directed by Dr. Michael Wesch that speaks to the implications of digital technologies for our lives. Living in GZ, WE are the Family! A weibo only speaking English, foreigners are using it as well. Blog maintained by Will Richardson, the "Learner in Chief" of Connective Learning, a consultancy service specializing in assisting educators in understanding and implementing the latest workplace and leadership practices. The WIDE Research Center investigates how digital technologies�such as the networked personal computer, the Internet and World Wide Web, and computer-based classrooms and workplaces�change the processes, products, and contexts for writing, particularly in organizational and collaborative composing contexts. Wi-Fi or We-Fi: Free almost anywhere? WAZE.com is a shared Social Networking Navigation System. Tell A Story At "Web Of Stories"
"Everyone has a story to tell. Over time many stories become forgotten, but now Web of Stories offers you the chance to tell your story for future generations to enjoy. Web of Stories began as an archive of life stories told by some of the great scientists of our time. As the number of stories grew, it became obvious that some were on related topics and a web was slowly being created of connected stories. After a while we also invited famous people outside the field of science to tell their life stories. We are now opening up Web of Stories to everyone, inviting you to help make our web of stories grow. We all have wonderful stories to share, and have family and friends whose tales we would like to hear. So tell your stories, and invite others to tell theirs. The great thing about Web of Stories is that you can talk about virtually anything you like; the time you learned to ride a bike, the feeling of climbing a mountain, a conversation you may have had with a late relative.. the range of topics you can talk about is endless! We have created technology that allows you to either record direct to your computer with a webcam or upload a video you have filmed on your handycam or phone. You can even perform simple edits with our trim tool, and of course you can record as many stories as you like. Once you have recorded your story (or stories) you will be asked to provide a title, a brief description and keywords that will help others when searching for stories of interest. We hope to provide lasting first-hand accounts of people's experiences - imagine that in a hundred years' time your grandchildren or great grandchildren will be able to watch you telling stories about your life today. I'm adding it to The Best Places Where Students Can Create Online Learning/Teaching Objects For An "Authentic Audience." WikiBrains is a cool site that allows users to create a brainstorm in the style of a wiki. It's pretty interesting in the way it works like a search engine but starts mapping out terms that you type in, and then connects them. Also, users can browse, share, and edit other brainstorms (hence the wiki feature). For Kapuler's Pinterest board on Brainstorming and Mind mapping click here. Word Dynamo is an excellent new (beta) site for creating flash cards. However, there is more to like then just creating flash cards, there are educational games and quizzes as well. Basically, everything uses a word list which users can create or can browse for others, then they search for what they are looking for by grade level or subject. See more great ideas from This Week in Web 2.0. Graph Words is a great visual thesaurus where all a user has to do is enter a word, click on draw and a web is displayed of your term. Once the web is done, you can then click on any term in that web to watch another one branch out. This is great for seeing how words are related! Jason Davies has developed a new interactive world cloud generator that lets you use Twitter, Wikipedia or a url address. More at The Best Resources For Learning About Word Clouds. Using Pinterest it is very easy to create a board and then "pin" anything from the web. Others can view your boards or (depending on your settings) can even "pin" things to them as well. It makes for a nice visual way to share resources in a social network type setting. Dave Kapuler created a board of his favorite web 2.0 resources (44) that you can view by clicking here! C.A.L.L. Web Tools: a great collection of Web 2.0 tools arranged in categories such as presentation tools, collaborative tools, research tools, video tools, writing tools, creativity tools, and many more! The Week In Web 2.0. is a short compilation of new decent sites that are worth noting, but maybe not necessarily worth a separate post: enThread is a super-simple online tool for photo-editing - drag, drop, edit. More such at The Best Sites For Online Photo-Editing & Photo Effects. Reviews and Links to many such free tools! Whatfolio is a great site that allows users to upload their work to a web page which creates a virtual/online portfolio. There are lots of options to choose from and there is a bit of a learning curve. For other nice digital portfolio sites, check out Visual CV or Googlios. Word Ahead is a collection of short and fun multimedia clips and Flash cards to explain difficult English words. Very easy to create personalized word lists in the Study Room. It's one of the best vocabulary-learning sites I've seen for advanced English Language Learners and mainstream students. See also SAT Preparation, as it uses SAT words, and shows the word and representative image, plus provides audio support for text, showing the word being used in context. Wikispaces have given away over 283,000 wikis for K-12 education. Now hosting over 4,220,000 members and 1,580,000 wikis! Learn more and create your own classroom wiki today. Populr.me is A Nice Website-Creating Tool Now That There's No Limit On Number Of Free Pages. I discovered Populr.me awhile ago, and liked how easy it let you create websites. However, at that time, they had a very strict, and small, limit on the number of pages you could publish. They've just removed that limit. 2009 Top Ten Web 2.0 Applications For Education included: File2.ws; PhotoPeach; Wallwisher; ProProfs; Screentoaster; Blerp; MapTrot; Babelwith.me; Note Pub; Sketchcast; Fur.ly ; Google Voice; Gizmoz; Grapevine; Rooh It! ; Chirbit; PinDax; DoInk; MapBuzz; PodOmatic; Flash Meeting; Yarp; Doodle; Hipero; Quizlet; Ediscio; Embedit.in; WeToku; Embedr; Strutta; BookRix; Toobla. Check out all these Rich Internet Applications! Go2Web20 is a visual directory to hundreds of Web 2.0 tools. Mouse-over a logo to get a brief description of the tool, and move through the pages one at a time to find all types of exciting new sites! Over 100 topical "The Best..." lists of Internet tools that you also might find useful. ACTFL.org's Language Education Website Descriptions and Recommendations. Must Pop Words! is a fun little game from Bart Bonte. It takes the popular game theme of having to create words out of a bunch of letter and makes it a bit unique. English Language Learners and others will enjoy it. WhoTeaches is a wonderful new (beta) social network like Wiziq. This is a network designed to facilitate communication between teachers, students, parents, and even offer high level education to other people (a la Wiziq). Plus, w/ a very user friendly interface and excellent search ability by subject or area, What I really like about WhoTeaches is how easy it is to use and how nice and polished it looks. It allows a user to upload their resume, teaching experience, videos, etc. Educators from every subject area can be found on this site. Another great feature is the ability to create groups sharing and collaborating on documents, files, media, etc. Words Like is a site similar to Word Hippo w/out the translation. This is a site that acts like a thesaurus and is very handy when needing to find similar words. For a more detailed review check out Free Technology 4 Teachers. The Text Machine.com is a new application for correcting and grading ESL writing samples in the electronic classroom. Allows instructors to generate rich, detailed, error-specific feedback on essays, compositions, term papers and other written work in a fraction of the time it takes using other methods. Among its useful features: You store writing assignments in a single database, not as individual files in folders. Use your mouse to correct papers. If you're working with students who have very little technology experience, and you just want them to have an easy place where they can paste their work (and where other students can view it, too, after the links to all student sites are posted on a teacher page), Note Pub is a good web application to use. Create gorgeous screencasts using ScreenFlow's powerful desktop recording and sophisticated editing tools. Share your screencasts privately, embed them on your website or blog, and track who's watching with Wistia. Use these twin tools - 'Check My Words' (students' tool) and 'Mark My Words' (teachers' tool) - students can look up grammatical structures, lexical collocations, grammar advice, etc. while they are writing and teachers can point students to the same resources as part of their feedback. Dave Kapuler created a slideshow called, Web 2.0 for Schools. Since then a number of new web 2.0 sites have come around that can also be used by schools. Then he made it into a free digital book that people can view/embed/download. Webdoc is a cool new (beta) site for creating multimedia type blog posts w/ comments. A neat little twist w/ webdoc's is that the comments that others leave are in a webdoc format. This means that a person can create their own little multimedia blog to respond to a post. Another nice feature is the ability to embed a webdoc into your site/blog. Below is their demo video...webdoc in action from webdoc on Vimeo. GotBrainy.com: Make Illustrated Wordcards in a Flash! Huge number of related resources can be found at The Best Online Resources For Teaching & Learning About World War II (Part One). Storming Juno is the online site of a television show from History TV about Canadian soldiers landing on D-Day. It has a 3D feature of the landing, plus interviews with survivors that include subtitles. The Best Online Resources For Teaching & Learning About World War II (Part Two). War Films with Good Values. What A Great Video To Get Students To Think More Carefully About Their Writing! One of the most popular wiki creators on the web that is free for education, that can also be made private (ie, password protected). Very similar to Wikispaces and free for a basic account. However, there are paid accounts as well that offers nice features for educators such as more space and privacy controls. Wikis in Education by Wetpaint is a great way to create a educational wiki and join a community of over 3000 members. A very affordable site for creating not only wikis but a complete educational portal package! A very easy to use site that can create a simple wiki that can be shared w/ others or made private. Also, as w/ most wikis the ability to add comments can be turned on or off. A fun site for creating a nice visual wiki. Not only can you create a free wiki here, Wikispot teaches you how to create a wiki and compares what a good wiki is vs a bad wiki. A free site for creating a wiki built on the same engine of Wikipedia. A popular website creator for education that allows for blogging and a creation of a site that can be used as a wiki. A nice free way to create a project wiki through the use of awesome Google tools. Web 2.0 - "Baker's Dozen Best E-Learning Tools"
Big Escape 3 is one of those online video games to use with English Language Learners. However, the big difference between this one and most of the others is that Big Escape 3 was developed specifically as an educational game to benefit early readers. The graphics are good, the tasks are sufficiently engaging, and the reading is accessible. Instead of having to collect a bunch of objects to use in your "escape" - like you do in other "room escape" like games - here you have to collect words. See others under Word and Video Games. The Flowing Data blog has created an incredible infographic on world demographics. It's designed to be a poster for sale, but there's an online zoomable version. This is their simple description: "tells a story of how we live and die, and the stuff in between." Though it's "busy-looking," no other kind of graphical representation has this amount of data, which makes it a lot more accessible to English Language Learners than most encyclopedias. See others at The Best Reference Websites For English Language Learners. For more of the very Best Sites for Language Education, see "The Best" list recommendations. DVD 1 & 2 may be seen here for free! Reducing statistics to "if _____ were 100 people, then ______" can make them very accessible, engaging, and thought-provoking. For example, there's the well-known "If Twitter Was 100 People" infographic. There are also several sites that use this "gimmick" to illustrate much more important data about the world around us. "The Best..." list for English Language Learners and others. Choices for The Best Sites That Show Statistics By Reducing The World & The U.S. To 100 People: Miniature Earth is a pretty amazing site. It's slideshow that uses statistics to reduce the world to 100 inhabitants, and shows how that plays out demographically, who uses what resources, etc. They periodically update the statistics. USA Today has an article about a book and school curriculum that portrays the United States as one hundred people. 100 People: A World Chart is also accessible. The World of 100 is a series of infographics highlighting various statistics. Earth Pulse: State Of The Earth 2010 is an impressive effort from National Geographic. It has a number of features, including a photo gallery and interactive quiz. Most impressive, though, is an interactive Vital Statistics Map that lets you compare global trends on many topics. See others at The Best Reference Websites For English Language Learners. Free Web Me is a new way to create free websites. They say you can create one in less than a minute, and you certainly can. Plus, you can grab images off the web to use on your site. It's pretty easy. Others at The Best Ways For Students Or Teachers To Create A Website. Just Paste It and Axess are very, very simple ways to create websites. They're ideal for teachers or students who are not very tech savvy, and just want a place to add links or where they might need to collect images to describe. Axess has an advantage over Just Paste It because it appears that you can return to edit Axess. No registration is required for either. From The Best Ways For Students Or Teachers To Create a Website. Winter is an online video game that offers good English-language opportunities. Here's the walkthrough. See others here at: Word and Video Games. Ning community for sharing knowledge of and experience with relevant web 2.0 tools. Wacchen is a site I just learned about from the excellenet blog, Zarco English. This is a place for bookmarking video. However, it's not only for links but a user has the ability to embed a video directly into their Wacchen web page. This is similar to how Fliggo used to work w/out the web 2.0 interface. Bag The Web lets you easily collect links to multiple websites into "bags." You can leave comments on the "bag" and on each individual web link you include. It would be quite easy for a teacher or student to use it for creating an internet scavenger hunt. Find more at The Best Places To Create (And Find) Internet Scavenger Hunts & Webquests. Wiimote Interactive Whiteboards How-to Videos. Johnny Chung explains how to make a low-cost Multi-directional Interactive Whiteboard. Web Teacher Tools is offering a single Moodle site to any educator who would like one. It is a great way to become proficient with Moodle. Silvia Tolisano has written a nice article titled Create a simple classroom webpage. It's focused on using NetVibes. See also The Best Ways For Students Or Teachers To Create A Website. "William And The Windmill" is a multimedia presentation from "The Star" in Canada about William Kamkwamba and is story (that is getting more known everyday) of putting together scraps to make a windmill to generate electricity in Malawi. Not only is the video well-made, most of it is closed-captioned and accessible to English Language Learners. Malawi windmill boy with big fans is a BBC article about the same story, just in case you want to learn more about him. What Is A Webquest? is an excellent step-by-step guide to how to create one, and is from TeachersFirst. It's really exceptional. Also see: The Best Places To Create (And Find) Internet Scavenger Hunts & Webquests. Come learn a whole host of new tools to spice up your students' projects and your lessons. Explore and experiment with a variety of Web 2.0 tools including animated avatars, comic creators, digital scrapbooks, image creators, interactive timelines, logo generators, slideshows, streaming video, and the web resources that will serve as "containers" for different new media elements. Learn how you can re-invent your teaching and your students' learning with the use of a few engaging, motivating, and fun resources like these! Wallwisher lets you with registration, create a "wall" where you can place virtual sticky-notes. You can allow others to also place notes on the board, or keep it so that only you can do so. The sticky-notes can include images you grab off the web, videos, or websites, and you can add text to them. You can also just include text without adding anything else. Each sticky has a 160 character limit for text. Wallwisher is a most useful Web 2.0 sites because it can be a great place for students to use higher-order thinking by creating categories of images (and descriptions) or short texts they copy and paste (or write themselves). It can also be used as a site for social bookmarking of websites if you just right-click the website you put inside the sticky-note and then click on "open in a new window." Wallwisher can be used by English Language Learners for categorization and website bookmarking applications, one of the easiest and most user-friendly of all. World Images, according to its site, is a "database that provides access to the California State University IMAGE Project. It contains almost 75,000 images, is global in coverage and includes all areas of visual imagery. WorldImages is accessible anywhere and its images may be freely used for non-profit educational purposes." See also The Best Online Sources For Images. The University of Richmond's nice, and large, collection of Webquests. On this page you will find links to WebQuests and WebUnits. A WebQuest is an inquiry-oriented lesson format in which most or all the information that learners work with comes from the web. A WebUnit is a series of topical pages written specifically for elementary age students. Each title is followed by the date of the project's creation or significant revision. They are categorized by subject and grade level. Also see The Best Places To Create (And Find) Internet Scavenger Hunts & Webquests. Wiggio is easy to use, including live video conferencing, screen sharing and whiteboard collaboration. Weekly Reader has a nice interactive on the Winter Olympics. It can also provide audio support for the text. See more at The Best Sites To Learn About The Vancouver Winter Olympics. Here are some new additions to The Best Ways For Students Or Teachers To Create A Website. Lifeyo; Weebly and their app just for educators and students, Weebly For Education; Kafafa. The New York Times has created an interactive of "reader submitted photographs from around the world that illustrate the importance of educating girls and empowering women." Women's History Month Across the Curriculum comes from the New York Times Learning Network. Story Starter is a great place for writers to go to start a story. Teachers can use this as a writing prompt with students and even a way to brain storm ideas. The Story Starter provides 1,007,240,080 creative ideas and writer prompts for writers of all ages. All of the story starters are randomly created. This idea generator can be used for short stories, novels, plays, scripts, or just for fun. Folding Story is a wonderful new site for collaborative writing that I just found out about from, Free Technology 4 Teachers. This is a site where users can either start their own story and then share with others or join an already existing story to collaborate on. There are other sites that accomplish much of the same thing, but Folding Story might just be the easiest. Chirpstory is an interesting site that allows people to create a story from tweets on Twitter. This is done with a very easy to use drag-n-drop interface by adding tweets and links to pics, videos, sites, etc. This is a fun/innovative way to share information with others. At What Makes Me, you can create a "cube" using photos, video, and audio (you can easily grab them off the web our upload your own). Your creation is supposed to be a representation of "you." It's from the Australia Council for the Arts and, theoretically, it's supposed to just be for Australians. But they invite people to make as many cubes as they want, so won't be too concerned if non-Aussies contribute. No registration is required, other than your email to save your cube. CyArk is laser-mapping and producing incredible panoramas of five hundred key World Heritage sites. They have a good start, and plan on completing the project by 2013. See more of The Best Sites For Panoramas. Best Ways To Create Online Content Easily & Quickly. As you may remember, in order to make it on this list, the web tool has to: * be easily accessible to English Language Learners and/or non-tech savvy computer users. * allow people to create engaging content within minutes. * host the user's creation on the site itself indefinitely, and allow a direct link to be able to be posted on a student or teacher's website/blog to it (or let it be embedded). With the url address of student creations, you can either just post the address or use Embedit.in , a free web tool that makes most url addresses embeddable. * provide some language-learning opportunity (for example, students can write about their creations). * not require any registration. See The Best Ways To Create Online Content Easily & Quickly - 2009. HAVE STUDENTS LEARN WHO THEY "WRITE LIKE": I Write Like is the famous application that, after you copy and paste a few of your paragraphs, will give you a badge to embed or link to telling you what well-known author you "write like." It might make students are little more motivated to learn about "their" author. CREATE A NATURAL SYMPHONY: Identify 4 nature sounds at Nature Sounds For Me, compose into a "symphony," post a link to it on a student/teacher website or blog. MAKE YOUR OWN WEBSITE: Orbs is a very, very easy website maker. You can just copy and paste images on it. You don't officially have to register to use it but, if you don't, they'll delete it after 24 hours. Registration is a cinch. See more of The Best Ways For Students Or Teachers To Create A Website. 1. Google/Gaggle - Google Apps are some of the most popular services for document creation and collaboration. Gaggle (for a small fee) filters Google Apps (Zoho as well) to make it an ideal choice for education. Also, Gaggle allows for filtered blogging, chatting, messaging boards, and filtered videos in You Tube, etc. 2. Edmodo - A wonderful free site that creates an educational environment for students that focuses on skills such as blogging and collaboration. 3. Glogster - A great multi-media site for creating interactive posters that can be viewed online. Plus, student accounts can be created by an educator without the need of a student email! 4. Voice Thread - One of the most popular web 2.0 sites around. An ideal site for creating interactive presentations/slide shows. 5. Myths & Legends - A free site that is wonderful for digital storytelling. All a teacher has to do is get approval from a school administrator to sign a school up for this great service. 6. Animoto - Create dynamic slide shows with one of the most popular slide show creators on the web! 7. Mixbook - A great way to create a safe & secure environment for students to create online or real books (for order). 8. Prezi - The evolution of presentations has arrived with this zoomable presentation creator. Also, there is an educational portal in the works. 9. Aviary Education - A safe secure way that offers a lot of different services for students such as: photo editor, audio editor, and movie creator. 10. Diigo - An ideal site for social bookmarking that allows teachers to create student account for sharing and annotating links. 11. Weebly - A fantastic site for creating a student or teacher websites with the ability to blog. 12. ToonDoo Spaces - One of the best online comic creators that allows for student accounts. 13. Kidblog - One of the top ways for students to create blogs in a safe environment. 14. Primary Access - A nice site for digital story telling that allows students to use a variety of different resources such as video, audio, photos, etc. 15. Zoho Wiki - Similar to Google Apps, this online suite offers a secure way for students to create docs and share. 16. Kerpoof - A multi-media site for creating stories, games, lessons, etc. 17. Zimmertwins - A fun site for digital storytelling that is done by creating one student account for a class. 18. SymbalooEdu - A great visual way for teachers to share sites and resources w/ students. 19. Pixton - An excellent way to create online digital comics that is moderated by a teacher. 20. Zunal - A fantastic webquest creator for teachers. 21. Alice Storytelling - One of the best ways to learn about the basics of programming as well as digital storytelling (a free pc download). 22. Story Jumper - A great way for students to create real or online stories and then have the ability to order a book. 23. Storybird - A fun site for collaborative and digital storytelling. 24. Magic Studio - A wonderful site for teachers to share multimedia resources w/ students. 25. Museum Box - A great historical site for teachers and students to create multimedia projects. Having a website for a teacher is an ideal way to share information with parents and the community. Not only does this facilitate collaboration but it can help teachers improve their own technology proficiency. Most districts have some sort of preset application that staff uses for creating a website but for those that do not I have compiled my top sites for creating a website. Keep in mind that most website creators are free but for a fee can increase the options that they have as well as the ability to eliminate ads etc. 1. Weebly - A excellent site for creating a classroom website or blog that has a secure educational environment. Also, very easy to use (drag-n-drop) and the ability to password protect your site as well. 2. Wix - Is a flash based website creator that a wonderful user interface that is all drag-n-drop. 3. Google Sites - A great way to make a collaborative/group website w/ a polished look. Very user friendly and lots of nice look templates to choose from. 4. Yola - A nice website creator w/ lots of features. However, more features can be unlocked via a paid subscription. 5. Webs - A great site to either create a personal website or a group one as well. 6. Moonfruit - A fun way to create a simple and elegant website that has lots of social networking integration. 7. Webstarts - Another nice drag-n-drop site for creating websites w/ all the fixings: ability to add photos, video, audio, etc etc. 8. Edicy - Fast and easy way to create a wonderful looking website. 9. Jimdo - Fun and easy to use site to create a nice website w/ lots of features. 10. Sitekreator - Mainly a paid website creator but lots of nice visuals to choose from. WordSift is a new visual tool to learn vocabulary. Mary Ann Zehr has written an excellent post describing it and its benefits for English Language Learners who need to learn �academic English.� WordSift is on The Best Websites For Developing Academic English Skills & Vocabulary. What's key here for English-language learners is that students can pull up images to illustrate a word, not definitions. The image may be easier to digest than more words that explain the word the student is trying to understand. Like Jing, Twiddla is also one of the best free, no-setup, Web-based meeting space. You can mark up screenshots of Websites, graphics, and photos, or start brainstorming on a blank canvas. It also includes voice and text chat. Word Lists and Free Presentations in PowerPoint format. Meet the Webheads in Action, a Community of Practice for ESL/EFL teachers. Windows Live can help you "Connect and share anywhere ." Click "Install" to get this free software, as well as access to the free online services Windows Live Hotmail, SkyDrive, Spaces, and Events. All Widgets available are filed and categorized here. Netvibes lets individuals assemble their favorite widgets, websites, blogs, email accounts, social networks, search engines, instant messengers, photos, videos, podcasts, and everything else they enjoy on the web - all in one place. Extract basic Frequency Lists from user texts or corpora; download influential Frequency Lists including AWL and Fran�ais Fondamental, for either English/French. Teachers can analyze any text by Keywords (text vs. general frequency) or Range (frequency across texts). Practice guessing the Frequency Level of words in any test using a Quiz Builder. Also you may Sort 10 - 20 headwords into 1-2k, 3-5k, 6-10k, 11-15k categories, and even DOWNLOAD Famous frequency lists for study or teaching! For teachers/researchers (from Cobb�s LexTutor.com for both English and French study). Most Frequent English and French words including first 1k, 2k, and AWL with both Headword and Word Family Lists. Other Useful list links included here include the Brown Corpus list, Ogden's 'Basic Engish' (Express almost everything in just 850 words! ), and word lists based on the British National Corpus from U. Lancaster and from Paul Nation. Finally there are Links to many more lists (from David Lee). Vocab Profiler will give you a color-coded representation for words in different Levels of Frequency within any inputted text. This helps you isolate more difficult words to simplify or study them. Choose a WORDLIST above and it will appear here. Click once on any word in the list to hear it spoken - this requires a speech plug-in, which can be downloaded at http://www.speaksforitself.com/. Click twice for a concordance ( = several sentences containing the word), which will appear to compare new words in various contexts. Click on the WORDNET link in the concordance output, and a dictionary will appear. Finally, a 1 Word Vocab Profiler at this site will quickly show which list any word is in. Why & how to use frequency lists to learn words. for most common 1,000-2,500 English words (by John Spiri). Download any of 10 Word Band Lists, then Fill-in the blanks to finish sentences, or match definitions. Automatically graded for you! created using Gerry's Vocabulary Teacher. Cloze Drills for all 10 Sublists of Academic Word Families using Hot Potatoes program. Words Steps is a great site for trying to learn a foreign language. On this site a user can create a word list that they want to learn. This list can contain images to help the person learn, as well as audio to help pronunciation. WS also has a mobile app to help people learn on the go. Dolch Word Practice is a very good site for sight words. The recording quality could be better, but it seems to be the best place out there that�s free and covers most of the words. Web-ESL has lots of great resources. It links to other sites, but has many of its own exercises, and they are excellent. Their literacy exercises stand-out in particular. Their exercises on sight words are perfect � too bad they only teach ten of them! Synonym Finder is a great online thesaurus. Not only can users find Synonyms to their words, but Antonyms and Definitions as well. Big Marker is a free web conferencing community ideal for educators and students. This is a great place to create a private room to collaborate by: chatting, sharing documents, etc. There are three categories of attendees: participant, presenter, and moderator. Holding a web conference is very easy to do and is a great way to facilitate online learning. Phraseup is an interesting site that can be used for curing writers block or those who just can't seem to put into words what they are thinking. This works by typing in the start of a sentence and clicking complete which then gives the user a bunch of different sentences to choose from. Whiz Kid Games is a fun site for kids to play games and listen to stories. These games are geared towards younger students and is still under construction so check back often. A list of what is believed to be the 100 most commonly used words in English are ranked by frequency. The first 25 words apparently make up about one-third of all printed material in English. The first 100 make up about one-half of all written material. At the bottom of the page you will find links to the following 900 hundred words most commonly used in English. A list of the 300 most commonly used words in English compiled by David Timmons. You will find three lists of 100 words each. A list of what is believed to be the 500 most commonly used words in English. A list of 1,000 most common words in English - Numbers 1 - 250-word list of common words listed in order of frequency. Here�s a list of the 3000 most commonly used words in American newspapers and popular magazines. A list of 5,000 collegiate words presented with brief definitions. Can also be helpful to those preparing for the GRE or TOEFL tests as well as for ESL and English Courses. Dictionary.com has had an ongoing contest inviting online game developers to design and submit new "word games." They just announced these five winners. Merriam-Webster Word Games is an impressive collection of about twenty different games accessible to various levels of English Language Learners. More at Word and Video Games. Ross Dawson's Trends in the Living Networks blog offers high-level commentary on developments in our intensely networked world, and how it is coming to life. The blog is primarily intended for a general business audience, in identifying critical technology, social, and business trends and their implications. Learn It In Five provides short videos teaching teachers how to use various Web 2.0 tools. You can read more about it at Free Technology For Teachers. See more at The Best Places To Learn Web 2.0 Basics. Here you can learn about the geography, data, languages, and holidays of different countries around the world. 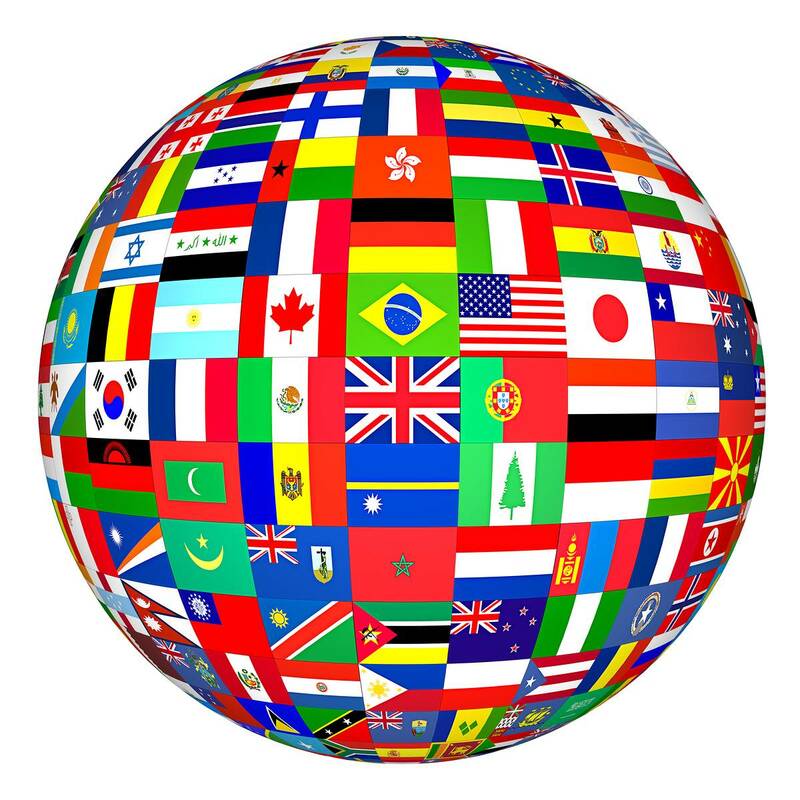 Here are Ferlazzo's choices for The Best Sites For Learning About The World�s Different Cultures (and are accessible to English Language Learners): Culture Crossing is a unique resource for information about different countries. It provides some basic demographics, but it also shares details about communication style, dress, gestures, etc. It's unlike any other source of information about countries that's on the web, great to help develop reports about countries. What The World Eats is a TIME Magazine slideshow with family photos from around the world and the food they eat. Food Photos is a similar slideshow from NPR. Here are portraits of 30 statistically average families with all of their worldly possessions displayed outside their homes. TOPICS is an online magazine for English Language Learners, and has articles and photos on the cultures of many different countries. Houses around the World, Wonderful Houses Around the World, and Homes Around The World all have images of homes in different parts of the world. Learn about Celebrations Around The World. EL Civics has a nice lesson on Clothes Around The World. Students can learn what schools in other countries serve for lunch at School Meals From Around the World, and What's For School Lunch? Here are some new additions to The Best Resources For Teaching & Learning About World Water Day: GOOD Magazine has several resources: An infographic showing water conflicts around the world. These next two are a little different, but readers might still find them useful: 1) Absence of Water is an interesting slideshow. 2) Crowdsourced Picture Show About Water is another slideshow. Wylio is a new site for bloggers to find photos for their blogs. This is an exceptional place to learn how to use Web 2.0 tools. Connect, Collaborate, Create was created by Pip Cleaves, and has step-by-step instructions on how to use some of the best Web 2.0 tools out there for educational use. You really need to visit it. If at some point you are prompted to log-in, all you have to do is click "Login as Guest." See The Best Places To Learn Web 2.0 Basics for even more. Markin Writing Corrector � Free Download! - provides quick access to Logos online services from Internet Explorer. - provides quick access to Logos online services from a Word file. Wikipedia is the by far largest publicly available encyclopedia on the Web. Wikipedia editions are available in over 250 languages with the English one accounting for more than 1.95 million articles. Wikipedia has the problem that its search capabilities are limited to full-text search, which only allows very limited access to this valuable knowledge-base. Large collection of various language and collaborative online dictionaries. Great search engine for research on many other topics! From Wikipedia, a free online encyclopedia written in simple English for easy reading. This semantic database contains over 10 million statements extracted from the English Wikipedia. Vocabulary Links and Vocabulary Researchers' World. Recommended use: Use any of these word lists or programs to better focus your study or teaching upon the MOST COMMON AND ESSENTIAL CORE VOCABULARY OF THE ENGLISH LANGUAGE. Teachers or learners can use them to assess the number of words in any given text that come from each of these word level lists. Expand your English vocabulary with these carefully compiled English word lists. While you may already know some of these words, the definition is often misunderstood or not fully known. There are 13 pages of carefully compiled vocabulary lists currently available here. A vocabulary learning strategy which encourages students to develop good language habits by keeping well-organized and personal notebooks. in ten separate files for practice. The Academic Word List (AWL) is a list of words which appear with high frequency in English-language academic texts. The list was compiled by Averil Coxhead at the Victoria University of Wellington, New Zealand. The list contains 570 word families and is divided into 10 sublists. Sublist 1 consists of the 60 most common words in the AWL. Sublist 2 contains the next most frequently used words and so on. Each sublist contains 60 word families, except for sublist 10, which contains 30. Ogden�s Basic English List of 850 most essential words and website. Based on BNC, British National Corpus. for Word Frequencies in Written and Spoken English: based on the British National Corpus. By Geoffrey Leech, Paul Rayson, and Andrew Wilson. LexTutor�s most essential English Word Lists for Teaching or Study. By ISP Nation (lst 25 pages). from General Service Words 1000-2500. VIEW: Variation in English Words and phrases - Mark Davies� Corpus Linguistics-based Frequency Dictionaries for English, Spanish and Portuguese. This website allows you to quickly and easily search for a wide range of words and phrases of English in the 100 million word British National Corpus. One unique aspect of the corpus is the ability to find the frequency of words and phrases in any combination of registers that you define (spoken, academic, poetry, medical, etc). In addition, you can compare between registers -- for example, fiction versus academic writing. The interface also allows you to input information from WordNet (a semantically-organized lexicon of English) directly into the search form. This allows you to find the frequency and distribution of words with similar, more general, or more specific meanings. This interface to the BNC is fast, free, and easy to use, offering important features not found in any other interface to the BNC (or any other large corpus of English, for that matter). Author's research articles are freely available on this topic to all supporting members of CALL4ALL.US. Just join at our Members Page. Vocabulary website: listing 23,000 articles for related research. The ATOS analyzer provides an ATOS reading level for text you submit for analysis. Submitting text for analysis is quick and easy. First, determine which ATOS option will work the best for the text you want analyzed. There are three different options. Select one of the choices below that best matches your needs. The ATOS Readability Formula for Books is designed to provide a reading level based on the complete contents of a book. It requires submission of the complete text from a book, and will provide the most accurate ATOS level. This variation of the ATOS Readability Formula does not require the entire text of a book. It requires submission of three 150-word samples from different sections of a book, and an estimated word count. The ATOS Readability Formula for Text works well for short stories, magazine and newspaper articles, test items, and other classroom materials. It does not make adjustments based on length of text. This formula requires submission of the complete text. Analyze text content using this free text analysis tool which gives you statistics about a text including word count; unique words; number of sentences; average words per sentence; lexical density; and the Gunning Fog readability index. More detailed statistics are available to members. This analyzer will accept text up to 500KB in size. Target texts can be typed or pasted in on this page for analysis. Readability.info provides quick Readability Scores for Web pages and MS Word files in a flash! Makes learning vocabulary fun rather than boring drill! Fun English study games to try! Activities for ESL/EFL students - lots of vocabulary, crossword, grammar quizzes, etc. Over 100 great Vocabulary Study Sites described by topics and quiz areas. Great flashcard-like activity using 4800 intermediate to advanced words. For 447 �Character Ed.� words and 533 �Earth Day� words, Email jancook@vocabulary.com. Put your themed selection in subject line and include your school name, city and state/country, if applicable. A large collection of sentences in context, which teachers can use to produce cloze exercises for reviewing, reinforcing and testing vocabulary. The database provides a list of keywords, each of which is linked to a number of sentences which illustrate how the word is used. Free English vocabulary and grammar quizzes online. from Kitaos at Doshisha University, JAPAN. Dave's Choice Words are fun, free vocabulary building exercises. Explore English Words Derived from Latin-Greek Origins. Experience the wonder of vocabulary words by focusing on the Latin and Greek prefixes, roots, and suffixes used in English vocabulary. An advanced English-vocabulary program for long-distance learners of all ages, everywhere. A program of Latin-Greek Root Word meanings and cross references that will enhance your English-vocabulary skills and word studies! Audio clip, definition, and examples of usage. Find out which word Merriam-Webster named the word of the year and click through their list of most popular words. Includes useful links to: Englishcaster, siu eCampus, VOA e-Learning, reading time, English Breeze and Mobile Phone URLs as well as Quia.com Quizzes on about 1,000 words. Builds up your automatic word meaning recognition skills in these two languages simultaneously. 1,000 words total may be reviewed in 50 sets of 20 words each. Includes 4 Receptive/Recognition and 3 Interactive Productive Vocabulary Tests (at 5 levels); a Word Association Test (both print and interactive); and a Yes-No Real vs. Not Real Word Test (both print and interactive) with the same test in French. Usernames for academic research and teaching: (non-Lancaster academics) A free one-month trial is available for individual academic users, please contact Paul Rayson to set up a username and password. If you are a student, please apply via your course lecturer or supervisor. Once the one-month trial has expired, usernames are available for around L100 (depending on the exchange rate) per username per year from the online secure order page hosted at regsoft. Multiple usernames (or years) may be purchased at a reduced cost. Please ask Paul for details. Further development and external availability of Wmatrix currently depends on licensing its use. LexiSounds is a multimedia package that focuses on helping learners to develop their listening and basic writing skills, with an emphasis on dictation practice. LexiPatterns is the only concordancing package that offers parallel Keyword in context (KWIC) concordancing in combination with functions not only for making research and study notes, but also for generating tests and worksheets. With LexiPatterns it is possible to explore and compare up to 3 corpora at the same time. The LexiSpace function makes it possible to specify a list of verb endings that can be removed from words automatically. A test or worksheet, typically based on a passage of around 300-500 words, can be generated and printed with an accompanying answer sheet in minutes; at the same time it can be used by students for computer practice with automatic feedback and scoring, all of which the teacher is able to see and store in a database. For students studying independently, any number of word lists can be used in combination with any number of reading passages to create study materials. Students can paste in materials from internet or work with pages from their texts. by Horst Bogatz. This is the first searchable collocations dictionary I have seen. It can search from English to English or German to English. Click here for a review article on the dictionary. The BBI Combinatory Dictionary of English Word Combinations, by Benson, Benson, and Ilson. (1997) This revised edition is based on comments and suggestions from ESL learners. Article by A. Maley and Dictionaries that help improve "Collocational Sensitivity." for various parts of speech. Great example sentences in both English and Chinese! LTP Dictionary of Selected Collocations. Edited by Jimmie Hill and Michael Lewis. This dictionary is written by EFL teachers for EFL learners, intermediate level and above. It lists the collocations, much like BBI, and it provides information on how to combine words into collocations. The Dictionary includes over 50,000 collocations. It mixes up the letters of words you write in, for the students to re-order. covering GSL Words 1000-2500 so far. CLOZE BUILDER routines create cloze passages of different types and some allow links to learning resources (dictionary, audio file, video file) on user specification. One can create such Cloze Quizzes in English or French, either by a Nth-word and Rational Deletion Cloze, orVocabProfile Clozes, which are Frequency-Based (from LexTutor). This program will make a cloze passage for words in a particular Frequency Band. A concordance gives a list of several words, phrases, or distributed structures along with immediate contexts, from a corpus or other collection of texts assembled for language study. Those offered by LexTutor include 1) Corpus-based concordances in English or French Clean Sentences Conc (Eng); Multi_Concordance (English) 2) Text-based concordances: English or French (output is concordance-linked frequency index for entire text); 2) Story concordancers: in English or French (Every word in a full length story is click-linked to concordances from rest of the story + other works by author. ); and 4) Related: Range (En/Fr) and Phrase Extractor (Eng or Fr) are other types of concordances. OUTPUT MODES include: 1) Plain, 2) Gaps or 3) Quiz, with 8 Corpora to choose from. The definitive guide to language resources on the World Wide Web. Links to an annotated list of language-related news groups. Links to language-related mailing lists. The guides contain information on over 140 languages. There are 112 fonts in their archives, for 40 languages. Language Learning Official site. Users include NASA, West Point and 10,000 schools. Are Language Learning Websites Qualitatively Different? Learn any language in 10 days. Our quick easy method is guaranteed. Excellent for Japanese and those wanting to learn English or Japanese. What do I do when I find a good website? 1) Description: Add a short description of the site. 2) Content Summary: Give a brief summary of the contents of the site. 3) Information: Is the site content correct, reliable and accurate? Is the writer an expert in this subject? 4) Currency: Is the site up-to-date? When was new information last added? When were the pages last updated? 5) Content: Is the content interesting, relevant, funny, useful or entertaining? How would you describe it? 6) Presentation: Is it attractive and easy to navigate? Does it use a lot of graphics, sound or multimedia files? 7) Functionality: Does it all work? Are there any brokenlinks or missing pages? Does it take a long time to display pages? Web Projects for Writing and German classes. Powerpoint. A tool that measures the proficiency level required to read and understand a text. With Texamen you quickly find out if the level of your text corresponds to the level of your readers. Fine tuning is necessary to achieve the right effect of your text. For English, Dutch or Spanish. or Best Places where students can Write Online! Includes BLOGS, such as Edublogs or class blogs where students write comments. In addition, the ability to have Edublogs Forums (basically a chatboard) is another real benefit. A great blogging application. Users can just email what they want posted on their blog and it is automatically posted with the subject line as the title and the body of the email as its content. You can copy images off the web and paste them into email, along with a written description, and it all immediately appears in �Posterous.� You can email attachments and some embeddable applications. You can also post directly to your blog without emailing. The newest blogging tool. It has a lot of intriguing features built-into it, including the ability to create a quiz or poll. Micro-blogs are designed for users to write short posts, and to easily add multimedia to them. The most popular micro-blog, which was ranked first on The Best Web 2.0 Applications For Education - 2007. Micro-blog that�s easy to use, similar to Tumblr. A new micro-blogging application that is simple to use. However, you are limited to posts containing 255 characters or less. You can only type in 140 characters per entry, but �You Are� stands-out because it lets you easily send the URL of an image as well. Having that ability enhances its use with English Language Learners, who can use the tool to also describe photos. A new site that is a real find for English Language Learners (and lots of other students). Users can create Online Books that they write and illustrate (they can also use lots of images available on the site). Various features really make it stand-out: You can make a book from scratch, or you can use one of their many story frames that contain �prompts� to help the story-writer along. In addition, you can invite others to collaborate online with you to develop the book. Once the book is done you can email the link to a friend, teacher, or yourself for posting on a blog, website, or online journal. You can create the online version for free, but have to pay if you want them to print a hard-copy version. It has two great features: 1) It has 1,000 simple books with audio support for the text immediately accessible to Beginning English Language Learners and 2) It makes it as simple as you can get for students to create their own �talking� books using images from Flickr. Anybody can read the books on the site. However, in order to have your students create talking books using their �easy as pie� (and free) process, you need to register and have to have a code. They�re rightfully concerned about publishing the code because of spammers. Gary Bishop from the site, though, is happy to provide it to teachers. Just write him at gb@cs.unc.edu and he�ll send it to you. 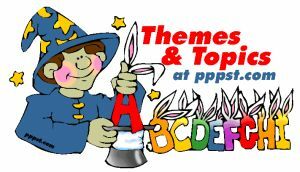 Three E-Card sites provide students excellent images and good opportunities for writing. No registration is required for any of these three sites, and the link to the student�s creation can be posted on a teacher or student blog or website. It offers an enormous number of American History images. All of them can be sent as E-Cards. It provides access to that incredible collection, and also allows you to use any of them as E-Cards. It has 8,000 images from around the world, and also provides an E-Card feature. WRITING AND PUBLISHING STUDENTS' WORK, WRITING WEBSITES, DESIGNING WEBPAGES. Read and write for Journals in many fields. Here you will find a really handy set of example letters with lots of useful business vocabulary included. The only problem is that they only deal with one topic - saying thank you - though there are plenty of different contexts. There are some good tips on writing business letters here. A useful site with information about punctuation, with lots of examples and explanations. Try it to learn how to use a colon and a semi-colon properly. Seventy pages of advice and free worksheets on spelling used by many parents, students and teachers in North America and the UK - help, free worksheets and advice from an experienced English teacher. The site is for: (1) parents who are concerned about their children's spelling and are keen to help them improve; (2) children who are reasonably capable readers and can work through the spelling exercises without help from their parents; (3) adults who find spelling difficult and want to learn to spell correctly. Where can I get email addresses for my students? These sites offer free web-based email. Writing Den is designed for students Grades 6 through 12 seeking to improve their English reading, comprehension, and writing skills. Publish children�s writing online safely. Glossaries of Multi-Syllable verbs and English grammar terms, writing tips, rules of grammar and punctuation, online tests, and sample resumes, as well as proofreading/copy editing services. Alphabets and Writing Systems World-wide. Web Quests and collaborative writing projects on how to integrate techonology into ESL / EFL and mainstream classes. Over 7,000 websites created by students around the world who have participated. Scholastic has a good Internet Scavenger Hunt on Harriet Tubman and the Underground Railroad. It's accessible to Intermediate English Language Learners. Also see United States History blog, which contains a year-long interactive curriculum for the subject. Computers and English Language Learning, Deborah Healey en Jeff Magoto (eds.,) International Society for Technology in Education. English Language Teaching Journal, Oxford, UK. Graham Chesters & June Thompson (eds. ), CTI Centre for Modern Languages, EUROCALL, University of Hull, UK. Norman Davis (ed. ), Elsevier Science Ltd, Oxford, UK: Pergamon Press. Carol Chapelle (ed. ), Iowa State University, United States. Order Free Scholastic Book and Software Club Catalogs for Pre-K thru Grade 8.
one of the better Webrings focused on languages. Excellent language, internet research and search tools integrated on one page. Dictionaries, word lookups, computer terms, (European languages) text translator, web page translator, and more language tools, such as specialized dictionaries and thesauri, crossword and scrabble solvers, more translators, etc. Webopedia is an online computer dictionary for computer and internet terms and definitions. As such, it�s the only online dictionary and search engine you need for computer and internet technology definitions. A unique web directory targeted for the education industry. A list of good educational websites; from high school to masters degree colleges and distance learning programs. Bring the world to your website! Put your company on the map in each country. Global online marketing, multilingual Web promotion and Website translation will develop your international sales. With multilingual Website promotion program, it's like having your own international online marketing office in every corner around the world. Translation services, web site translation, document translation, software translation in over 20 languages. Multilingual software localization and document translation services to assist clients in globalizing products and reaching world wide audiences. Sites that promote social interaction between people who have never met can be dangerous. Some most popular with young people to monitor very carefully are www.MySpace.com. Has a reportline link for victims of cyberbullying, their schools and parents where specially-trained volunteers assist victims of cyberstalking, harassment and cyberbullying without charge. Contact abuse@myspace.com. Cyberbullying is a growing problem. You can learn more about it, as well as how to prevent and handle cyberbullying incidents, at WiredSafety�s StopCyberbullying.org and InternetSuperheroes.org. If schools are looking for a presentation or program to address their students� posting inappropriate profiles or using these websites while underage or other parent concerns, they should visit any of these three. Schools may find many of their students using a particular website. Working together with schools and parents, we may be able to keep our kids off of websites that are inappropriate for young children (or for decent adults as well!) and teach them to make good choices online and offline. Weather Information Worldwide. Practice describing and making weather forecasts. Talking about the weather: vocabulary, facts and figures, describing weather, etc. Use Webcams to find out and tell what the weather is like in different places. Includes Map Activities and Geography Crafts. Free whiteboard tool by the name of Talkandwrite. It is not open source, but it is free. You can buy the pro version ($29.00), which allows you to save a document and print a document. But the BASIC version is free. It works in conjunction with Skype for audio or text chat. It may be limited to just two people working in the environment at the same time. Free Download to do Whiteboarding using Skype. Go2Web20.Net aims to be the Complete Web 2.0 Directory. Swickis are a cross between Search Engines and Wikis. Widgets: What they are and why the world needs more of them! Assign or Choose 1 per student. See how much information each one can find in one class period. Have them try to a) Summarize his life history; b) State their contributions to the development of Science and Technology; c) Give their own impressions about their life; and d) Note any new vocabulary learned, with some example sentences if possible. Curriculum: English / Language Arts, Foreign Language. In this Webquest you will find activities designed to help English language learners gain skills to read on grade level. This site was designed with the intention of helping ESOL and second language learners maximize their proficiency in reading in their L2 language. Grade(s): K-2, 3-5 Language: English; by Sharrine12/01/2006. 3 Use CALL4ALL.us� Semantic Field Keyword Approach to use and remember groups of related words having similar meanings at http://www.call4all.us///misc/sfka.php. The world�s first interactive whiteboard system. (For details on local resellers call 0870-241-3194 or -1254-6769212. Research and development on using Interactive Whiteboards to enhance classroom learning. More Research and Development Links about using Interactive Whiteboards to enhance classroom learning. A classified list of Interactive Web sites that would work well with Interactive Whiteboards and/or Tablet PC computers. Web Design Principles from Edward Tufte. Windows Live Latest IM and File-Sharing Programs-Free! Vance Stevens� Papers on Social Networking, etc. An online version of a widely used web style guide, useful for designing CMCL materials. It looks systematically at process, interface design, site and page design, typography, graphics and multimedia. The Answer Pad is one of my favorite all-in-one mobile learning solutions for a classroom. Not only does it allow a teacher to become paperless by doing all testing/assessing on a iPad (or mobile device), it can turn a iPad into a student response clicker system. A educator can use Answer Pad in a number of different ways and push out assignments that they can grade and assess in real-time, which allows them to differentiate instruction, guide instruction, and even flip their classroom. American History Timeline is a wonderful free iPad app that focuses on American History from 1770 to Current Events. This interactive has 100s of images and tons of information that can be sorted through. Best of all their are educational games such as Scramble and Matching to help reinforce learning. Xnote is an innovative i-OS app for geo-caching that takes going on a scavenger hunt to a whole new level. For educators that are used to doing QR Code scavenger hunt this will be very familiar as this app allows educators to create virtual messages (that includes text/image) that will only open when a user goes to the "correct" spot/location. Talk about a fun way to integrate technology and outdoor activities! "Teachers, parents and students can use Xnote to create and hide virtual messages outdoors at any GPS-location. Students can be sent on treasure hunts close to school or home to find hidden assignments with images, texts, links etc. A way for parents to use technology to take kids from indoor screen time to fun, healthy activities outdoors. It is as easy as sending an SMS/email. Xnote teaches children to understand maps, navigation and spatial relations. Finding hidden assignments can teach communication, cooperation and the value of an active outdoor life. It is possible to link messages into tours and send treasure hunts to others using social media or by posting them on blogs or websites." If you are writing a complex story, sometimes you need a handy way to record your thoughts. This notebook iPad & Android app can help. A collection of iPad apps students can use for writing. Curated by technology director Ben Sondgeroth. Sometimes storytellers need a spark. This iOS & Android app contains 600 creative writing prompts to set their inspiration ablaze and activate their imaginations! Kien Lam quit his job and spent a year traveling around the world, shooting time-lapse videos in 17 countries. Time Is Nothing is his five-minute compilation of these moments. EFL students may be asked to describe people, places and countries they see. From Teacher 2 Teacher, and shares some good ideas for student reflection. A behaviour model for creating incompetence is an excellent post by Maria Constantinides. Beating the Humdrum is from Language Moments, and has some excellent ideas on how to "liven-up" a less than interesting textbook. I'm adding it to The Best Resources For Adapting Your Textbook So It Doesn t Bore Students To Death. SchoolRack is a nice site for teachers to create a free website or blog. There are some nice features as creating a student or parent portal for sharing information. Also, a teacher can create a mailing list which is nice when wanting to send an email to a group of people. A teacher even has the ability post and monitor classroom assignments. For Kapuler's top 10 Website Creators click here. Sneffel is a free site for creating a real-time collaborative whiteboard. This site reminds me a lot of Concept Board or Board 800 where a user creates an online whiteboard and then invites others via a unique URL. Another nice feature is the ability to embed the board into a site/blog. Mark My Words is a toolbar you install in Microsoft Word that helps teachers to mark students' written assignments. Mark My Words enables teachers to insert comments in students' written assignments. Teachers insert 'resource-rich' comments as feedback, without having to rewrite students' texts. These comments automatically direct students to detailed online explanations, lookup tools, etc. Protagonize is a cool site where users create collaborative stories (ie, Folding Story). They can also create choose their own adventure style books. This is very innovative and sets Protagonize apart from other similar sites. Students' essays are evaluated by it. Bookgoo allows you to highlight and annotate your documents in the same way you would mark up a piece of paper with a highlighter and pen! Flowgram is an amazing screencasting, link-sharing tool. It lets you show one or multiple pages on the Web, and, when you�re making this screencast, you can move the screen up-and-down to focus on particular areas on the page. You can show videos or images. You can provide an audio commentary, and people can leave comments. The first automatic text correction tool that corrects entire sentences with a single click. With Ginger in the mix, users produce error-free text with unmatched quality and accuracy. Using Ginger you'll see firsthand how this software helps to build stronger, more efficient writers: fixing multiple spelling errors with a single click; finding and replacing misused words; correcting grammatical errors*; identifying and fixing severe spelling mistakes; providing text-to-speech capabilities*; tracking user mistakes and progress; *feature available SUMMER 2009. A Beta version of Ginger Software is available for download free of charge at http://www.gingersoftware.com/registration.htm. All of these programs allow you to grab images directly off the web for inclusion in a website. This list is focused on tools accessible for English Language Learners and non-tech-savvy computer users. The other features also had to be very easy to use. Finally, the service had to be offered free-of-charge. Webon appears to be one of the easiest website-builder I�ve come across. It�s very easy to grab images off the web and write captions. One of its features that I like a lot is that your images automatically become a slideshow. It doesn�t have all the bells and whistles that other slideshow creators have, but it seems to work well enough. It�s an excellent place for students to display their online work. Go Hoster and Notaland are also very easy to use, though Notaland is not quite open to the public yet so you have to request and invitation. Jottit is an extraordinarily simple and easy way to create a webpage. All you do is start typing � you don�t even have to register. You can create a password that you, or anyone else you want to be able to write in it, can use, and then you�re given your own url. You can�t just copy and paste images. However, you can embed objects. Rombla gets an honorable mention. It�s not quite as easy to use as the ones I�ve already mentioned, but it�s pretty close. Wix is a fairly easy site that lets you use Flash to create a website or content that you would like to embed into a website or a blog. The final product can look pretty neat. There�s so much you can create that I think it would be a little too overwhelming to English Language Learners. I also suspect that my mainstream students would want to spend far too much time using it to make their creations look cool and spend less time on the actual content. However, teachers, I think, might want to use it to create content their students would then access. Synthasite is another website-building application and seems very similar to Wix, but appears to be just a little less complicated to use. The WYSIWYG editor at YourDraft.com allows fast and flexible drafting. Create and share content instantly without registration. Flickr slide shows sure do make it easier to view all those images being shared on a given Flickr Flickr stream, and the ability to do so has even spurred a healthy-sized third market from developers that offer Flickr slide show tools as well. This site is very safe and has lots of fun links where kids can play online in security. Safety tips are given. Web Concordancer, Unique Words Text Profiler, Word Frequency Text Profiler, Net Dictionary, Chinese - English Parallel Concordancer, Teachers' toolbox, etc. Screensavers and Wallpaper for your PC Screen. Many to choose from here. An easy-to-use online word processor and spreadsheet editor that enables you and your students to create, store and share documents and spreadsheets instantly and securely and collaborate online in real time. If you know how to use any word processing or spreadsheet editing program, you can easily use Google Docs & Spreadsheets, and even upload older documents and spreadsheets. There's no software to download, and all your work is stored safely online and can be accessed from any computer. Sharing features enable you and your students to decide exactly who can access and edit documents, and it's all recorded in the document revisions history. It helps promote group work and peer editing skills, and that it helps to fulfill the stated goal of The National Council of Teachers of English, which espouses "writing as a process" and encourages multiple revisions and peer editing. Use spreadsheets to keep track of grades, attendance, student projects and assignments. Maintain multiple spreadsheets, each for a specific purpose, and easily import data from other spreadsheets. An 850 word Simplified English to make learning and reading easier. World by Radio gives dynamic information about each country in the world, including Flags, Population, Maps, Major Cities, Languages & Radio Broadcasts available in them. Information Technology and Website Evaluation. Links to all languages known online. A state-of-the-art semantic personal publishing platform with a focus on aesthetics, web standards, and usability. What a mouthful. WordPress is both free and priceless at the same time. More simply, WordPress is what you use when you want to work with your blogging software, not fight it. To get started with WordPress, set it up on a web host for the most flexibility or get a free blog on WordPress.com. Worldmapper.com provides many kinds of world maps, flags and GPS. World Challenge is a program sponsored by BBC to help support innovative self-help economic development projects in developing countries. in association with Shell, is a global competition that seeks out projects and businesses that not only make a profit, but also put something back into the community. World Challenge 2007, brought to you by BBC World and Newsweek, in association with Shell is all about rewarding individuals or groups that truly make a difference through enterprise and innovation at a grass roots level. Available for Social Media. "Web 2.0, what went wrong?" Wikileaks is a place to report stories the mass media is not getting, about human rights abuses, persecution, etc. Media repository of Wikimedia projects holds many free Multimedia Resources such as images, nature shots, sounds, videos, etc. WordNet (and related databases) is a lexical database for English; an online lexical reference system whose design is inspired by current psycholinguistic theories of human lexical memory. English nouns, verbs, adjectives and adverbs are organized into synonym sets, each representing one underlying lexical concept. Different relations link the synonym sets. See also EuroWordNet: a multilingual database with wordnets for several European languages (Dutch, Italian, Spanish, German, French, Czech and Estonian), MultiWordNet (Italian WordNet is strictly aligned with Princeton WordNet 1.6. ), and BalkaNet (for six Balkan languages: Greek, Turkish, Bulgarian, Romanian, Czech and Serbian). An alphabetic version of WordNet 2.0 has now been prepared and is available here. 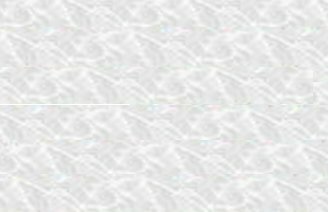 There are 143,991 entries in this dictionary, with a sense for each occurrence of an entry in a distinct synset. Virtually all information in WordNet has been captured, including the new domain relations, verb groups, and derivational forms. WebQuest: After reading this article, list in order the countries having the most billionaires. See if you can find the names of the richest 100 or of all these billionaires by doing a Web Search. Discuss: Where is your country on this list? Where would you like to be on this list? What would you have to do to get there? All of the Embassies from All Countries in the World in a searchable database! An innovative cyberspace architecture firm creating 3D models for use in visualization and online applications. Models can be licensed for use in commerce, communication, entertainment, electronic gaming, travel, education, navigation and GIS applications. Webscape creates interactive 3D environments including real world cities, so that users and content creators have well-known and understood physical points of reference. Provides a series of 8-week, teacher-led courses for elementary, middle school and high school students. Starting with sentence writing in the elementary levels and working up to writing for standardized tests in the high school level, Time4Writing has courses at just about any level of skill. With the advent of the Internet, editors are looking for shorter works, more easily read on a computer screen. The current term is "flash fiction", a tale between 300-1000 words long. Longer than micro-fiction (10-300 words) but shorter than traditional short stories (3000-5000 words preferred by most magazines), flash fiction is usually a story of a single act, sometimes the culmination of several unwritten events. This article offers several strategies for writing flash fiction. Used by themselves or in combination, a writer can focus his/her story on that brief, interesting event. The online Virtual Classroom on WiZiQ is a free alternative to expensive conferencing tools selling as online teaching/learning software. Distinctively, the prime focus of WiZiQ has been to create a user friendly online teaching and learning platform for the educational community. A minimal but useful feature set always works better to keep things simple. Thus our virtual classroom requires no download or installation and integrates perfectly in Moodle. planning of education projects linked with the development of free content; development of free content on Wikieducator for e-learning; work on building open education resources (OERs) on how to create OERs. networking on funding proposals developed as free content. WiZiQ offers free online e-teaching and e-learning using web conferencing with document and whiteboard sharing, teacher resumes and presentation sharing. Shows WiZiQ.com as an online teaching platform, which provides a free virtual classroom environment for teachers to interact online and teach students in real time. Teachers can also build a profile, keep an availability schedule, and maintain a content library, which is associated with their profiles, by uploading PowerPoint presentations and PDF Files. Who.Is tells who owns various websites and domains. Information Design and Web/PowerPoint Presentation Tools. Handouts from ELT Podcast.com - Bill Pellowe, Nicolas Gromik and Robert Chartrand took part in WorldCALL 2008, presenting on "Teaching approaches towards the integration of iPod technology in the EFL classroom." Free Vocabulary Level Checker, with free suite of Learning Tools, offering access to high-frequency TOEIC & TOEFL Vocabulary Practice Programs. Audio practice to help you improve your listening skills as you hear about the news. Listen-and-write.com is free listening practice. Webspiration, the useful mind-mapping tool, comes to the Web in an easy-to-use, collaborative version. Currently in its infancy, this website aims at developing a wiki community for teaching yourself a foreign language and helping others along the way. It hopes to bring together language students, instructors and native speakers from all over the world. Free Song of a Wanderer book in Chinese! Just click here to read.